Work Benches can require a range of different apparatus. 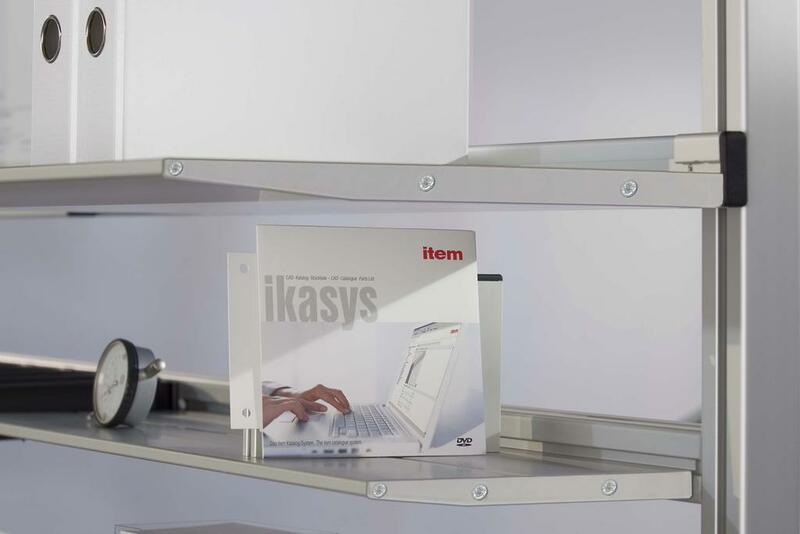 A custom designed workbench will ensure you get just what you need. 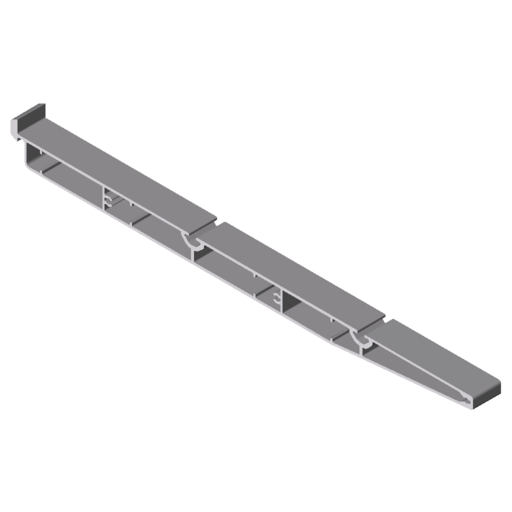 Once the Shelf profile has been cut to length, simply slot the shelf into a Profile 8 groove, secure it in place and then use it to store loads up to 50 kg! 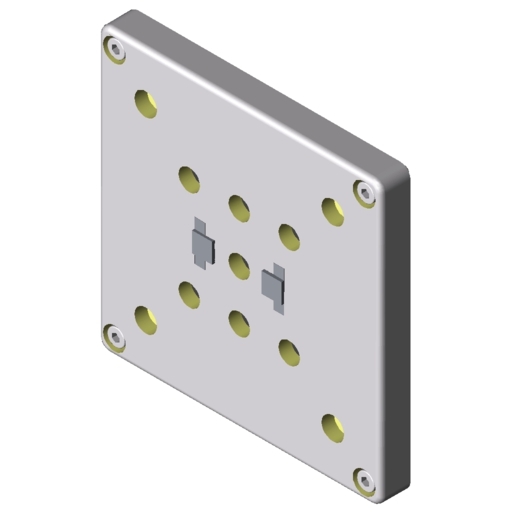 It can be combined with Profile 5 20×10 and the corresponding caps. 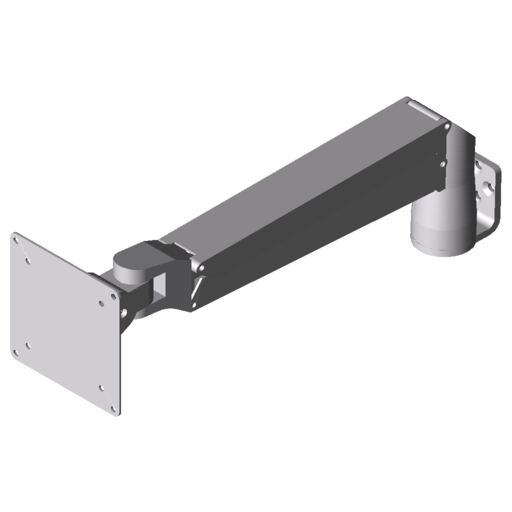 The Monitor Adapter enables flatscreens to be installed with optional anti-torsion features that mechanically lock the set position. 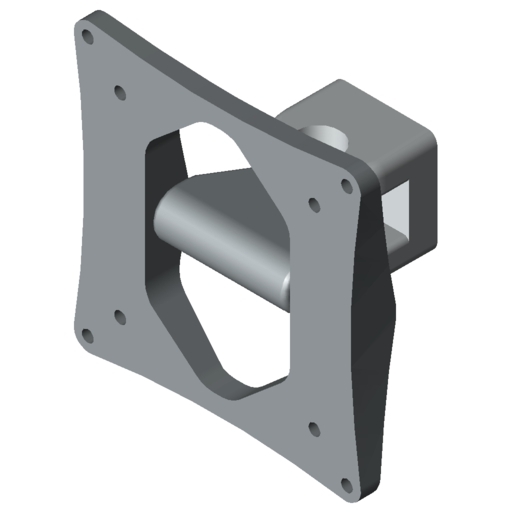 Fasten the adapter directly onto profile 8. 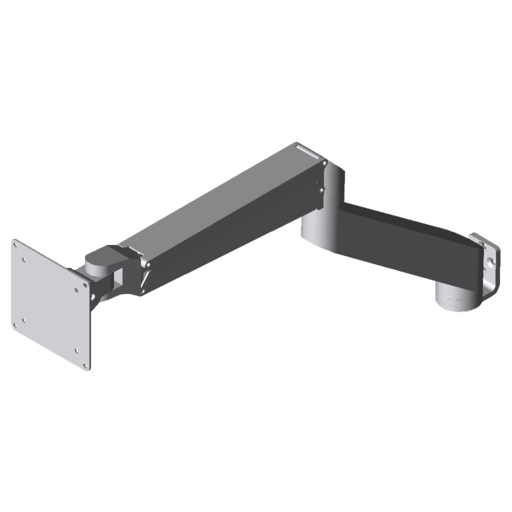 The pivoting Monitor Mounting Joint 8 VESA 75-100 secures flatscreen monitors directly to profile 8. 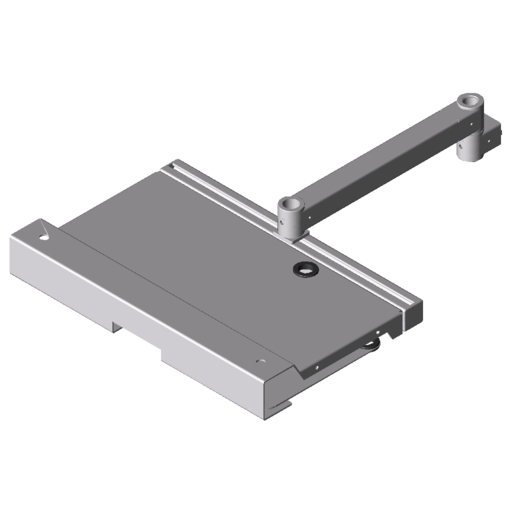 The two friction hinges ensure users can adjust monitors weighing up to 11 kg horizontally and vertically to achieve the ideal viewing angle. 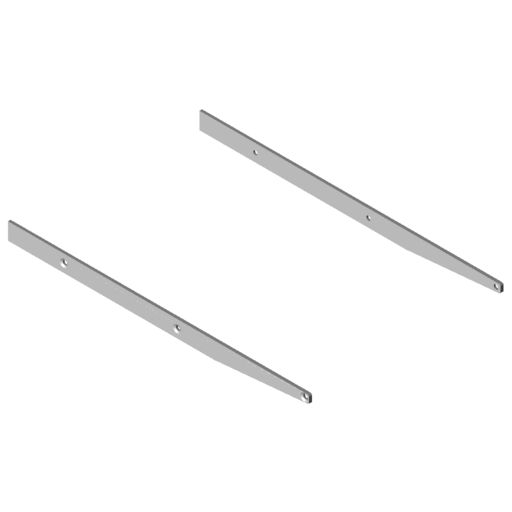 The height adjustable Monitor Arms are for monitors weighing between 2 and 10 kg. 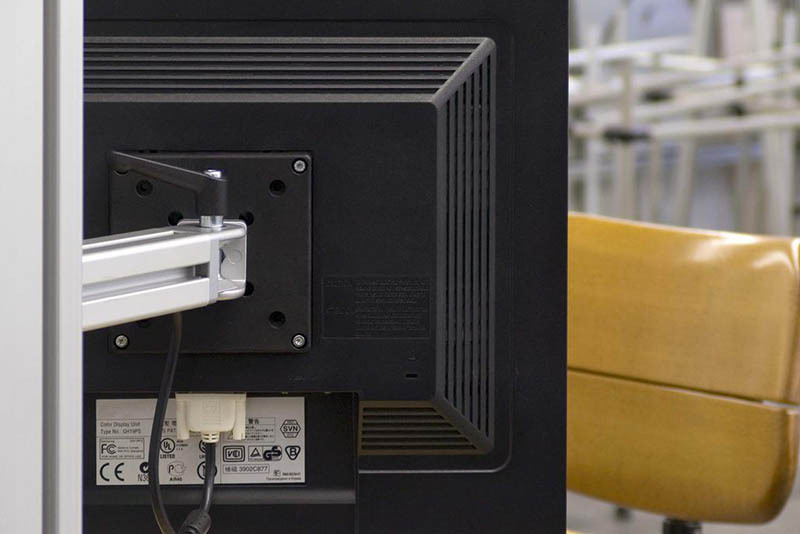 The Monitor Arms can be moved and pivoted in all directions. 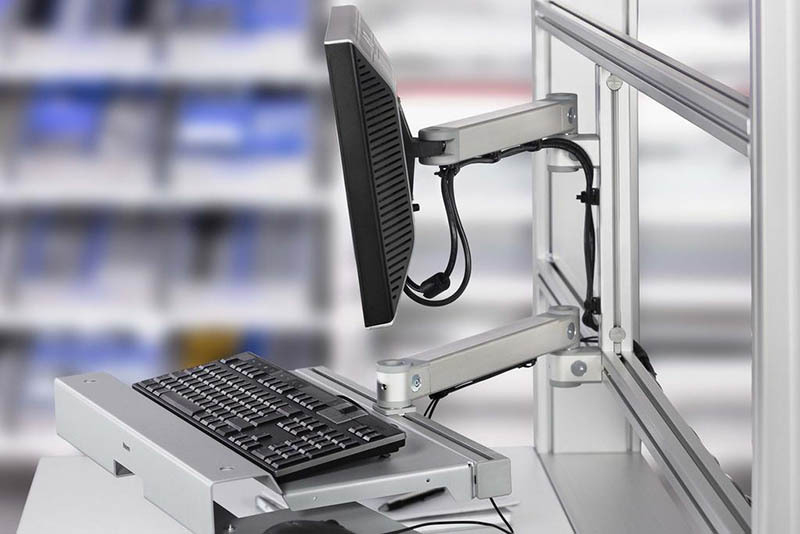 The five-joint variant also allows users to move their monitor closer or further away. 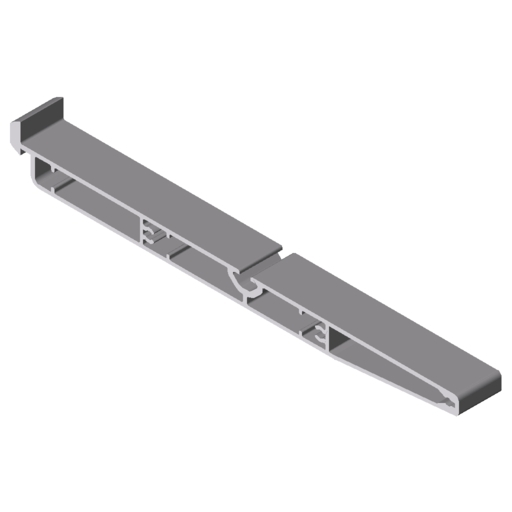 The Groove Plate Profile is 400 mm high and can be supplied in any width. 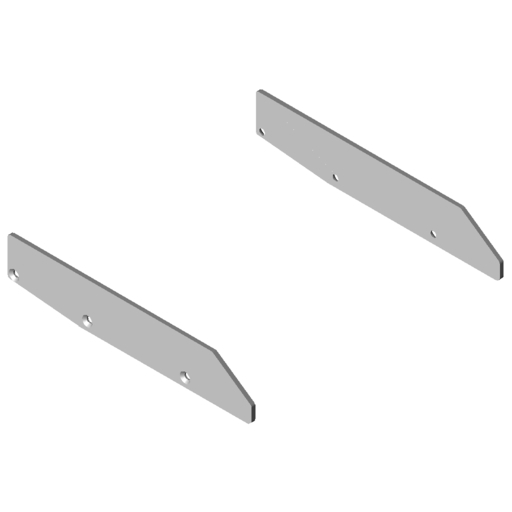 Ten Profile 8 grooves on the front and nine Profile 8 grooves on the rear offer a great deal of space for organising work benches and workshop trolleys. 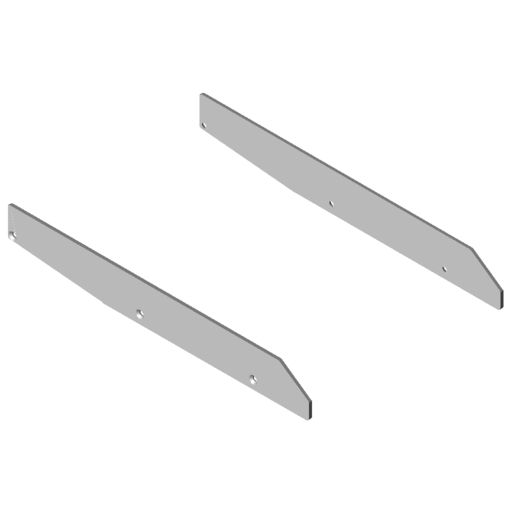 Thanks to its low weight of just 5.2 kg per metre, it can be used with ease on transport trolleys. Open end faces are safely covered over with the Caps. 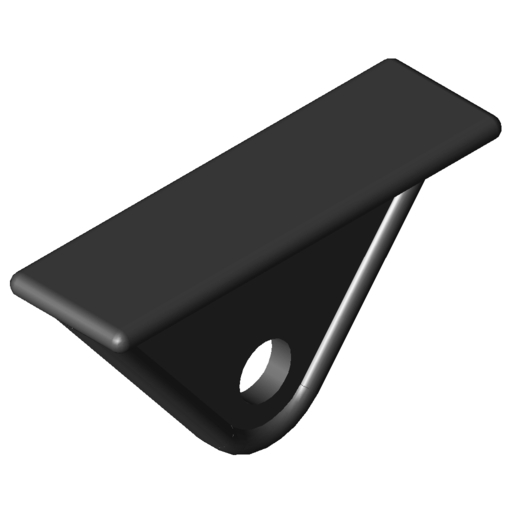 The Caps can also be used to secure the Groove Plate Profile within a load-bearing frame. 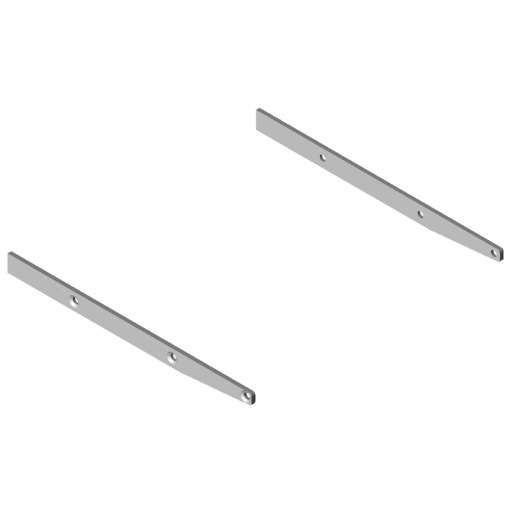 As an alternative to fastening with the Cap, the Fastening Set, Groove Plate Profile 8 is used to install the Groove Plate Profile flush to the frame. 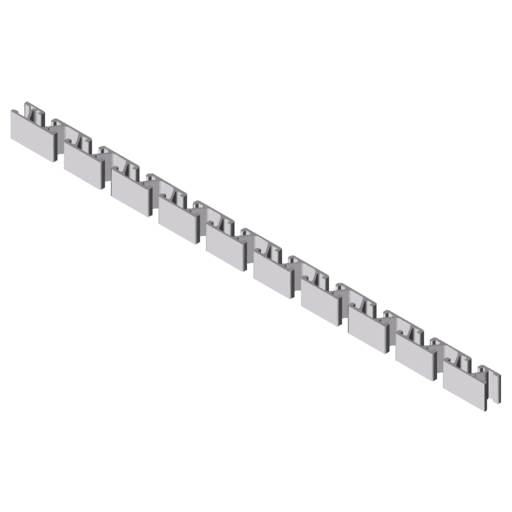 The Groove Plate Profile is not to be viewed as a construction profile. 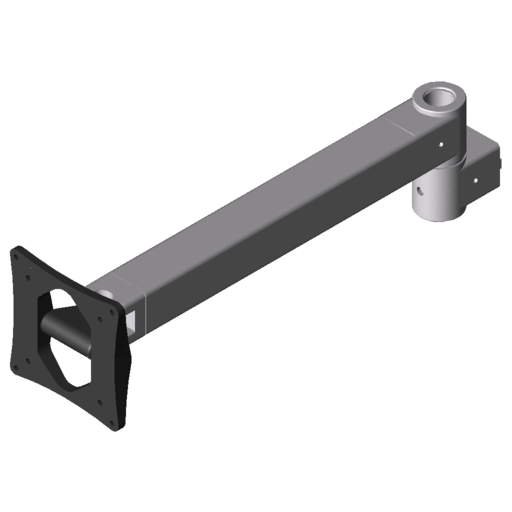 Heavy accessories such as a Pivot Arm should always be mounted on a profile frame. 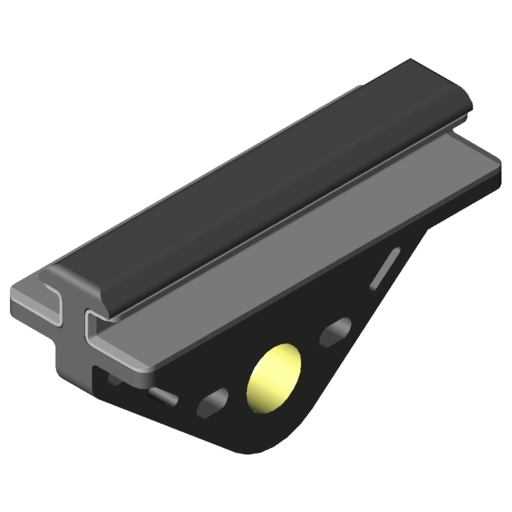 The simple Runner 8 slides within the profile groove. 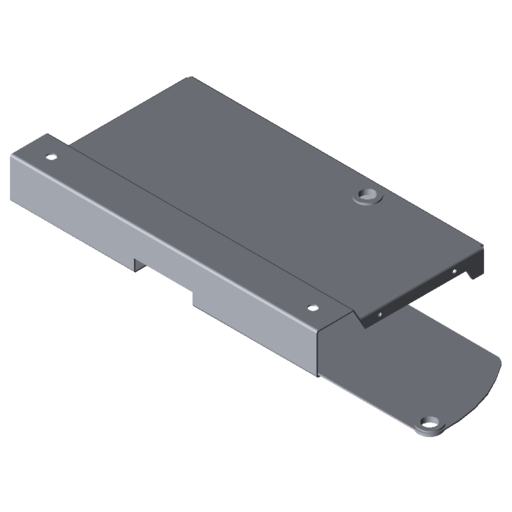 Alternatively, the Runner 8 80×40 can be retrofitted and also has additional holes for securing cables away from the sliding movement. 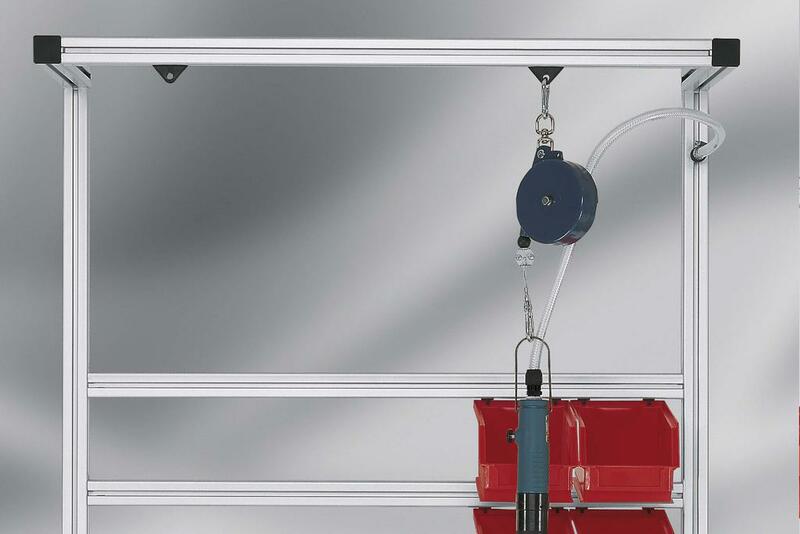 Retractable Tool Balancers ensure tools are out of the way but standing by. 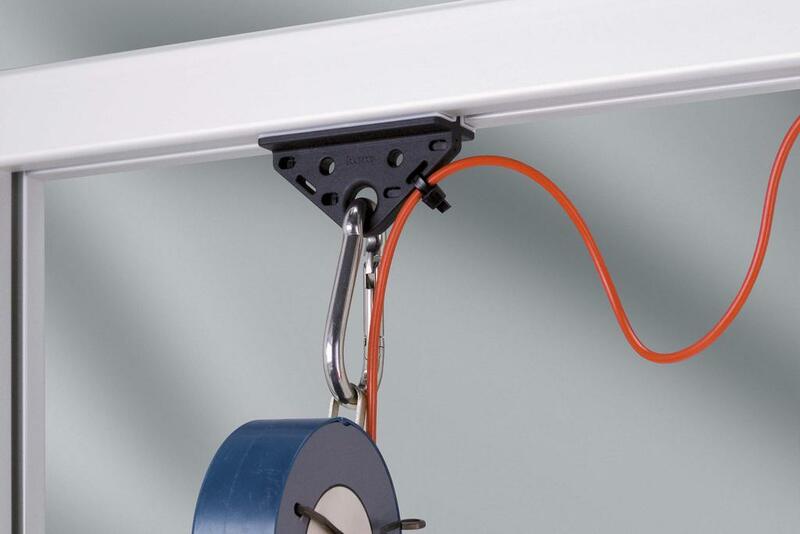 When not required, the Tool Balancer automatically removes the tool from the immediate working area. 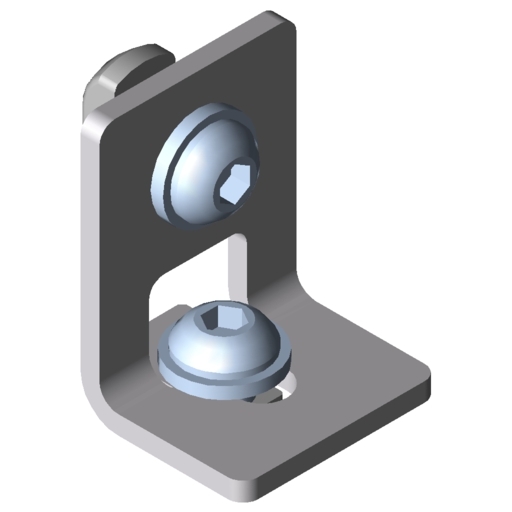 An adjustable stop allows users to tailor the default height of the device to their needs. 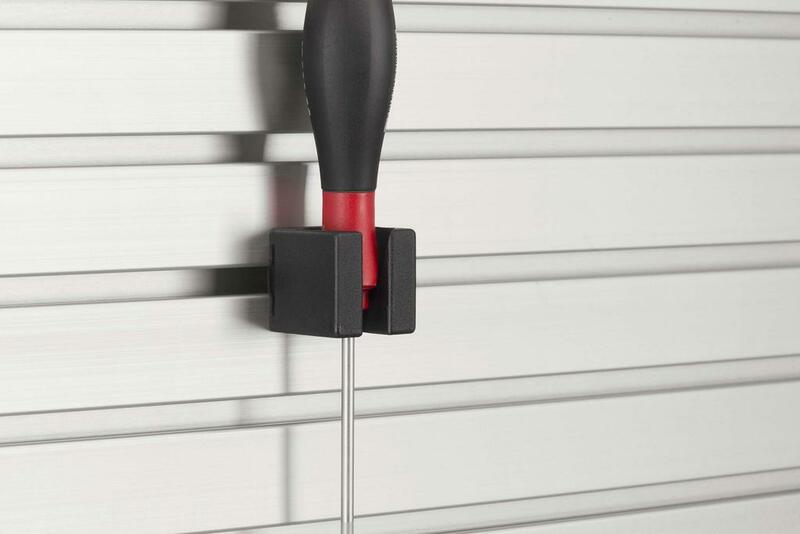 Precisely adjustable retraction force takes considerable strain off staff when working with heavy tools. 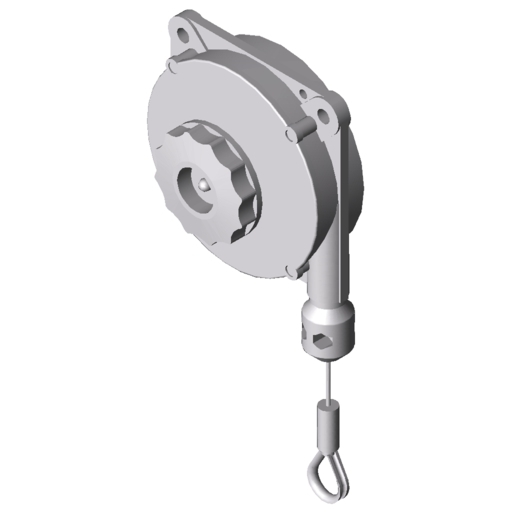 An arrester mechanism is also integrated as standard. 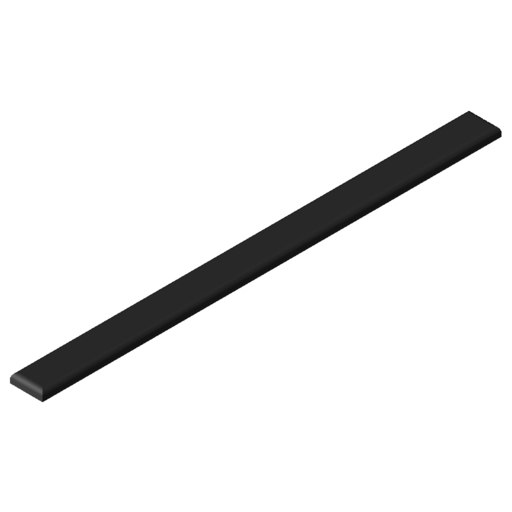 We have three popular options for conduit. 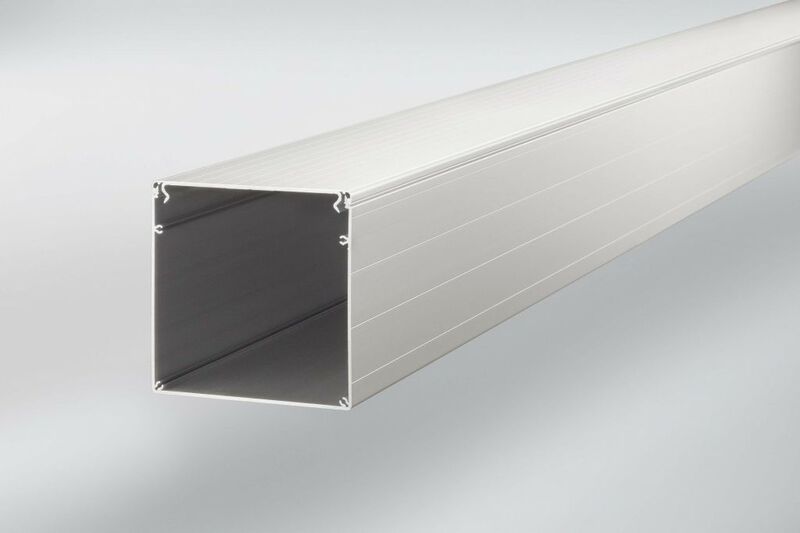 See the conduit system.